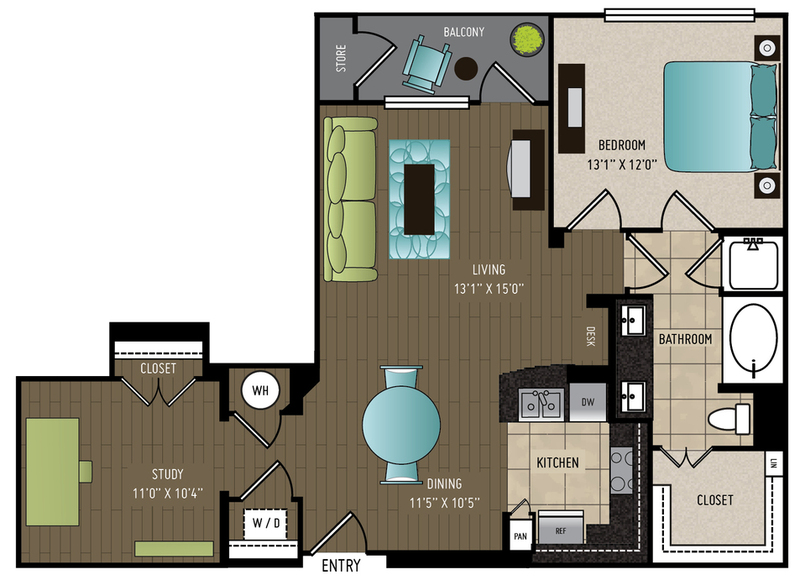 At 24Eleven Washington, a Houston skyline view is just one of the many options available when you choose from the spacious 1 and 2 bedroom floor plans available in this Washington Corridor community. 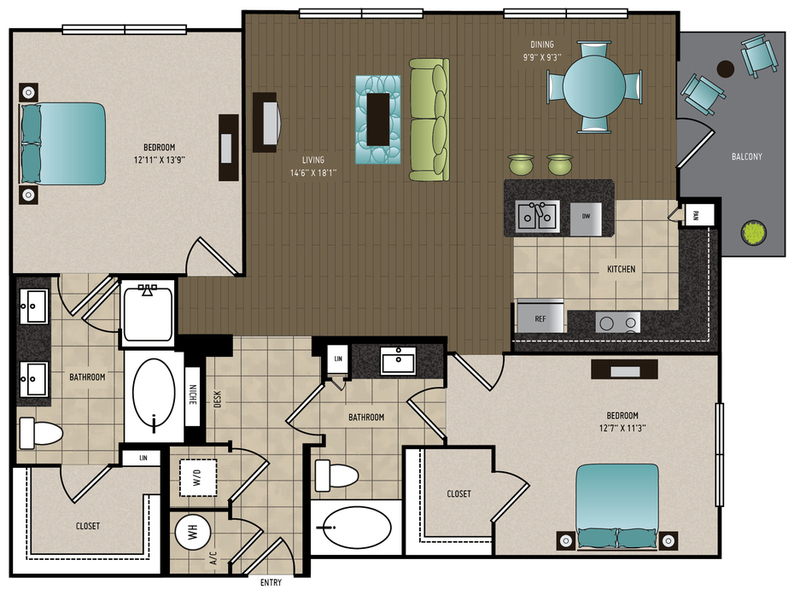 From dramatic nine-foot ceilings to hardwood flooring, these apartments were designed for style and sophistication. Call today to learn more. 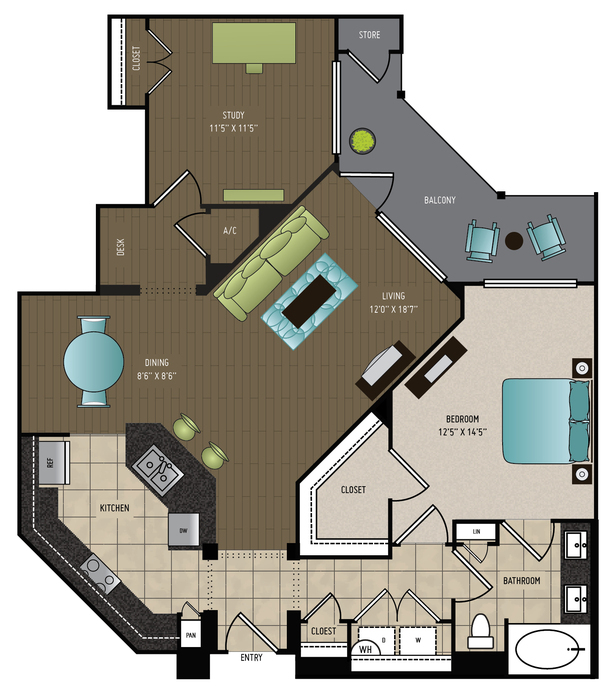 One bedroom floor plan with available Washington Avenue views featuring hardwood floors, stainless steel appliances, full size washer and dryer and private patio. 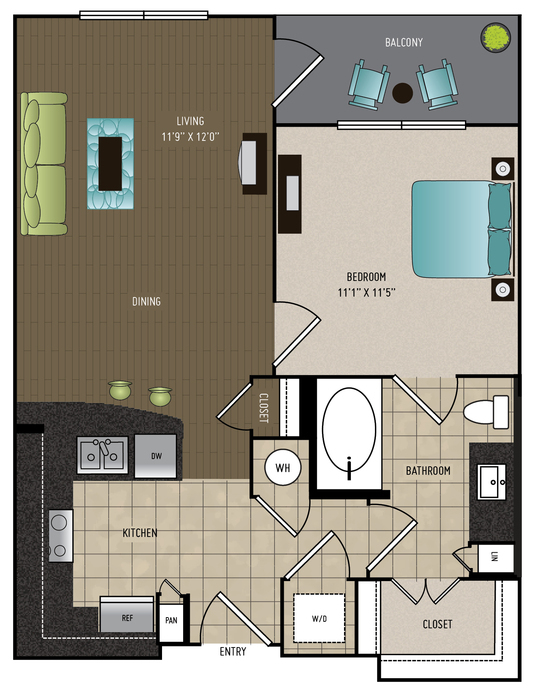 One bedroom floor plan with available downtown and courtyard views featuring hardwood floors, stainless steel appliances, full size washer and dryer and private patio. 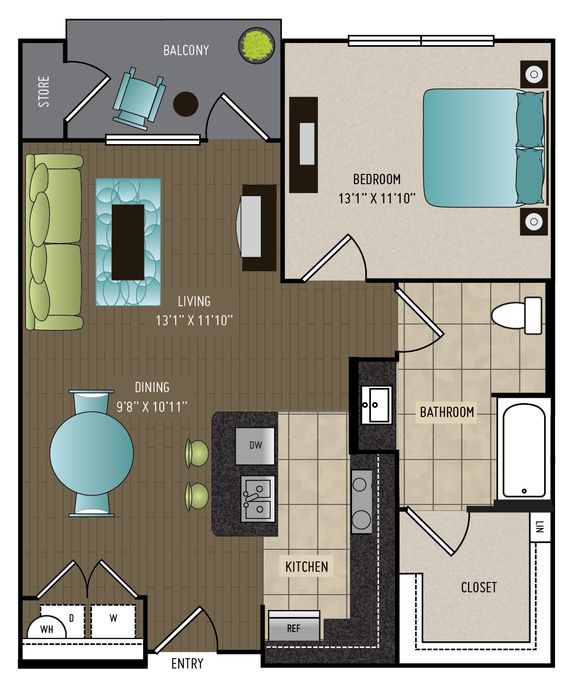 One bedroom floor plan with available pool, courtyard and downtown views featuring hardwood floors, stainless steel appliances, full size washer and dryer and private patio. 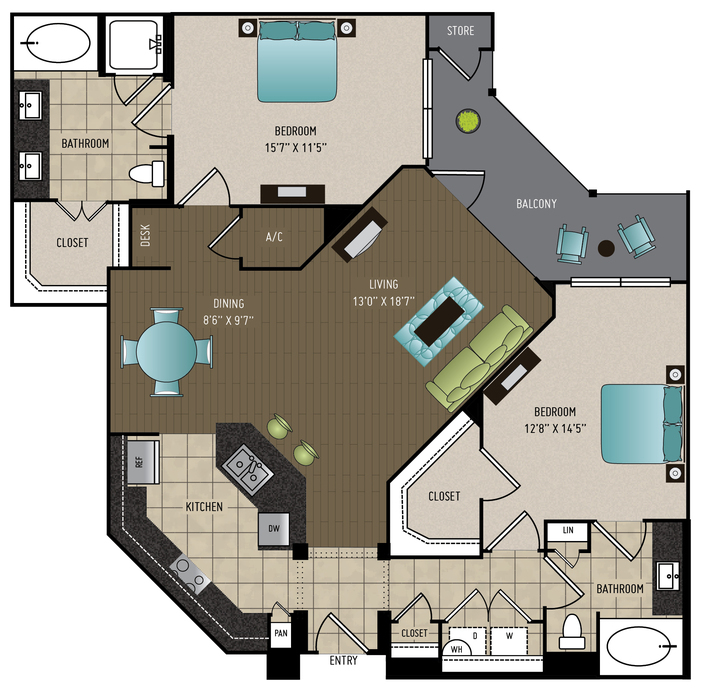 One bedroom floor plan with available Washington Avenue, downtown, and courtyard views featuring hardwood floors, stainless steel appliances, full size washer and dryer and private patio. 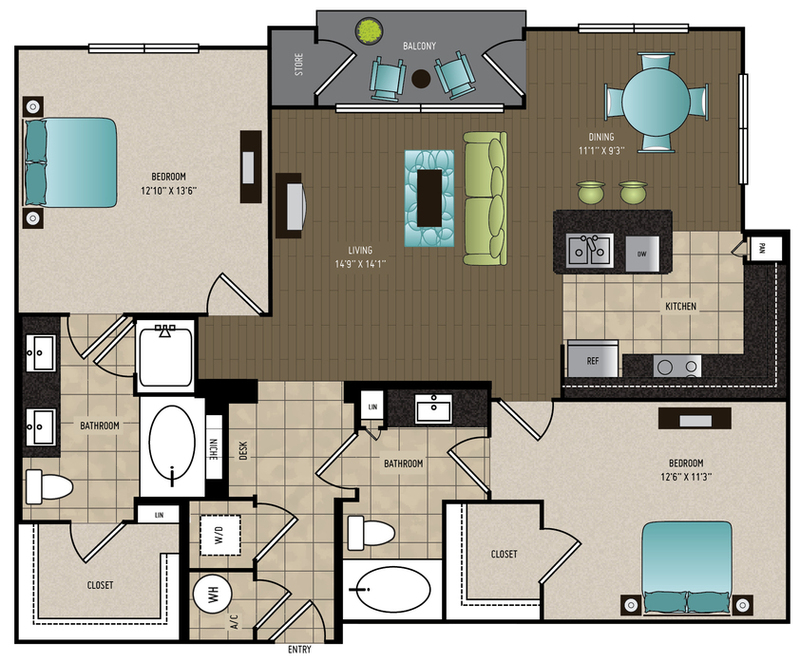 One bedroom floor plan with study with courtyard views featuring hardwood floors, stainless steel appliances, full size washer and dryer and private patio. 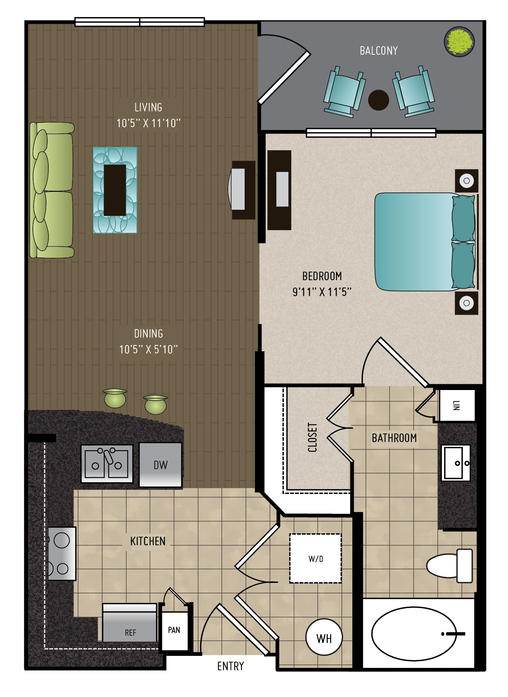 Two bedroom floor plan with courtyard views featuring hardwood floors, stainless steel appliances, full size washer and dryer and private patio. 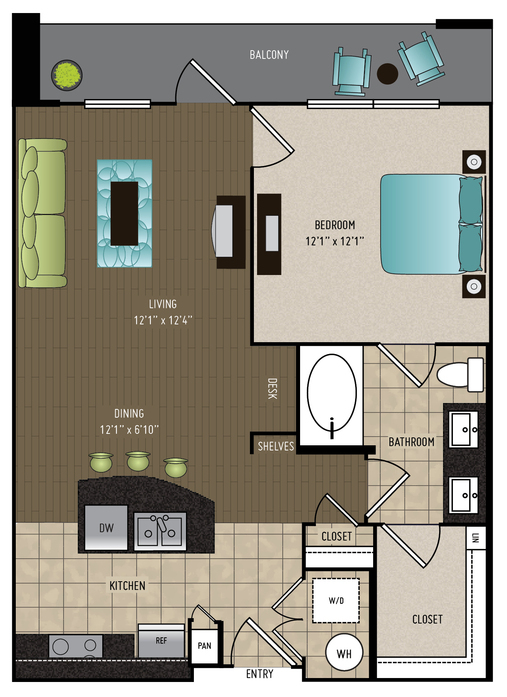 Two bedroom roommate split floor plan with courtyard views featuring hardwood floors, stainless steel appliances, full size washer and dryer and private patio. 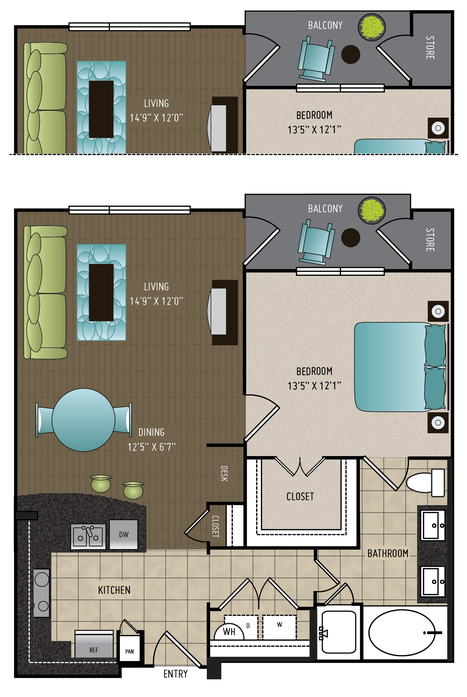 Two bedroom corner unit floor plan with courtyard views featuring hardwood floors, stainless steel appliances, full size washer and dryer and private patio. 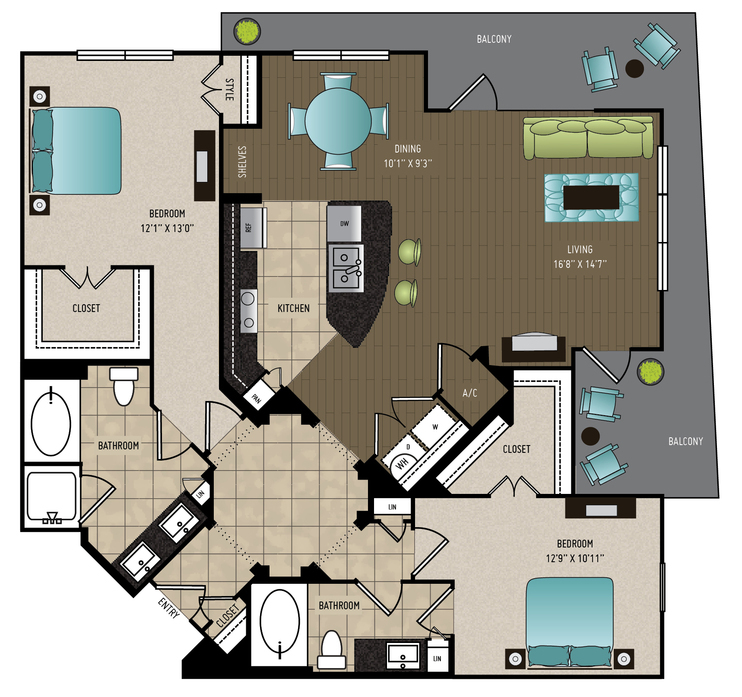 Two bedroom corner unit floor plan with downtown and Washington Ave views featuring hardwood floors, stainless steel appliances, full size washer and dryer and private patio. 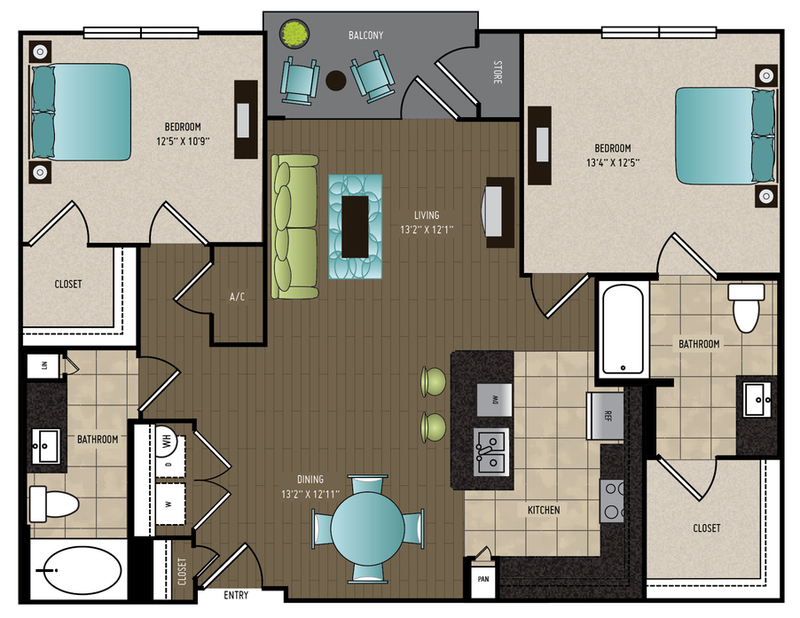 Two bedroom corner unit floor plan with pool views featuring hardwood floors, stainless steel appliances, full size washer and dryer and private patio. 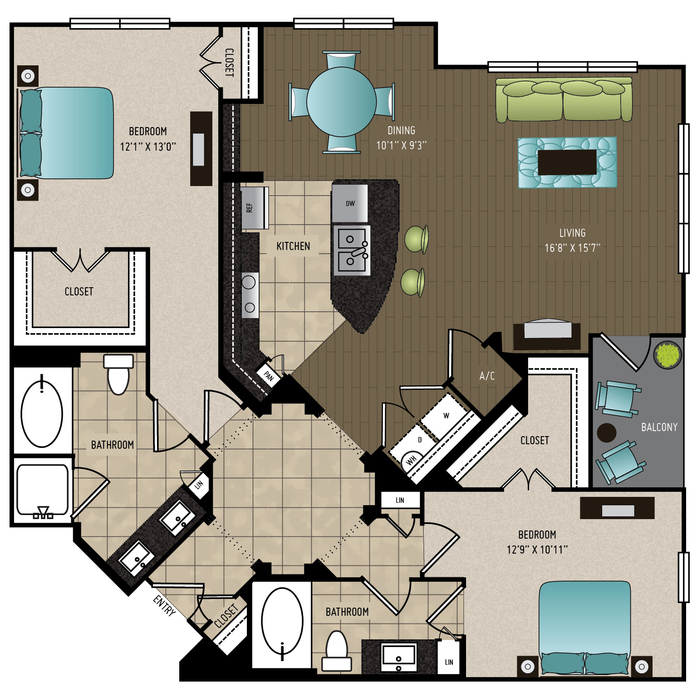 Two bedroom corner unit floor plan with available downtown featuring hardwood floors, stainless steel appliances, full size washer and dryer and private patio. 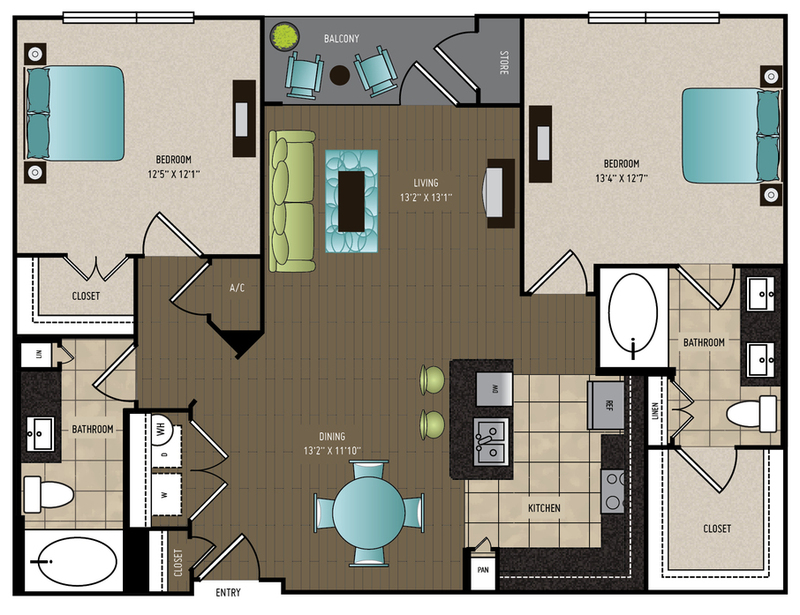 Two bedroom corner unit floor plan with Washington Ave views featuring hardwood floors, stainless steel appliances, full size washer and dryer and private patio.